New Delhi is known for historic sites, parks, shopping, museums, and fun & games. Your plan includes some of its best attractions: take in nature's colorful creations at Akshardham, step into the grandiose world of Red Fort (Lal Quila), and contemplate the long history of Jahanara Begum's Tomb. To see traveler tips, maps, other places to visit, and more tourist information, read our New Delhi travel planner. Use the Route module to see travel options from your home to New Delhi. Expect a daytime high around 47°C in May, and nighttime lows around 30°C. Wrap up your sightseeing on the 25th (Sat) early enough to travel to Shimla. 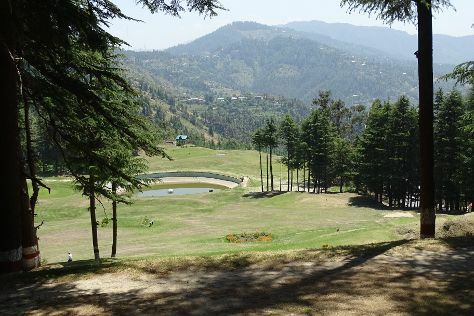 Kick off your visit on the 24th (Fri): tee off at Naldehra Golf Course, don't miss a visit to The Mall, and then admire the striking features of Viceregal Lodge. Here are some ideas for day two: take in the awesome beauty at Kufri Fun World, then take in the spiritual surroundings of Jakhu Temple, then take in the architecture and atmosphere at Christ Church, and finally don't miss a visit to The Ridge. To see photos, ratings, maps, and more tourist information, you can read our Shimla vacation planner . Do a combination of flight and taxi from New Delhi to Shimla in 4.5 hours. Alternatively, you can drive; or do a combination of train and taxi. Wrap up your sightseeing on the 25th (Sat) early enough to drive to Manali. Step out of Manali with an excursion to Naggar Castle in Naggar--about 1h 10 min away. And it doesn't end there: relax and rejuvenate at some of the best spas, skim along the rocks with a canyoning and rapelling tour, take in the spiritual surroundings of Manu Temple, and take some stellar pictures from Gulaba. To find ratings, traveler tips, where to stay, and other tourist information, refer to the Manali trip itinerary tool . Traveling by car from Shimla to Manali takes 4.5 hours. Alternatively, you can take a bus. Finish your sightseeing early on the 28th (Tue) so you can travel back home.